Harlem Yo! coming to Frederick Douglass Blvd, frozen yogurt, smoothies, shakes to be offered | HarlemGal Inc. I was walking along Frederick Douglass Blvd in Harlem this evening (May 10) and noticed new signage was up where the old Posh Paws was located, 2121 FDB. 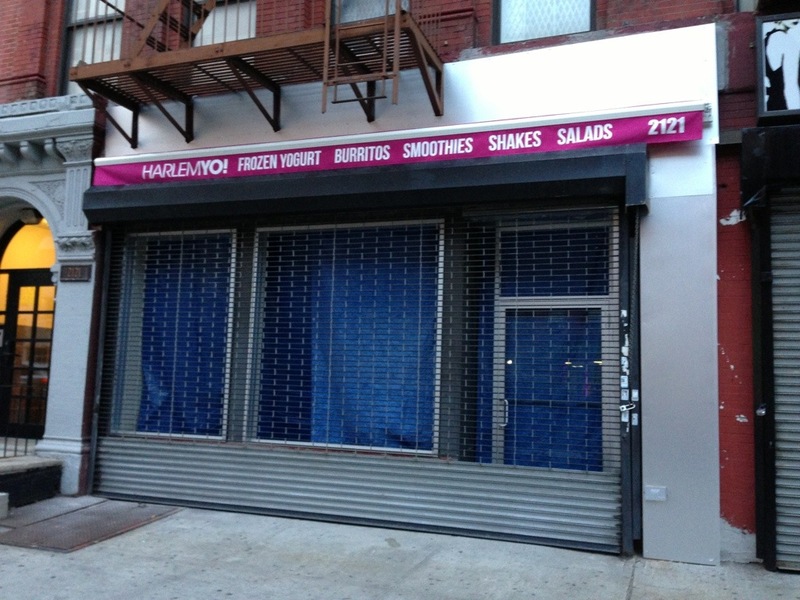 The purplish awning says HarlemYo!, Frozen Yogurt, Burritos, Smoothies, Shakes and Salads. Looks like Harlem’s restaurant row is getting another food/eating out option? This entry was posted in business, commercial real estate, drinks, food, Frederick Douglass Blvd., Harlem, Harlem blogs, Harlem businesses, Harlem Restaurant Row, Harlem restaurants, restaurant row, restaurants and tagged 10026, 2121 Frederick Douglass Blvd., frozen yogurt, Harlem, Harlem Blogs, harlem restaurant row, Harlem Yo, Harlem's Restaurant Row, HarlemYo, HarlemYo in Harlem, restaurant row, where to eat in Harlem. Bookmark the permalink. Really, do we need this in the neighborhood?